Rolling into Essex campus the slightly understrength 3rd team were prepared for a bashing, things started well with Jamie ‘destroyer’ Simpson damaging Essex in the warm-up. 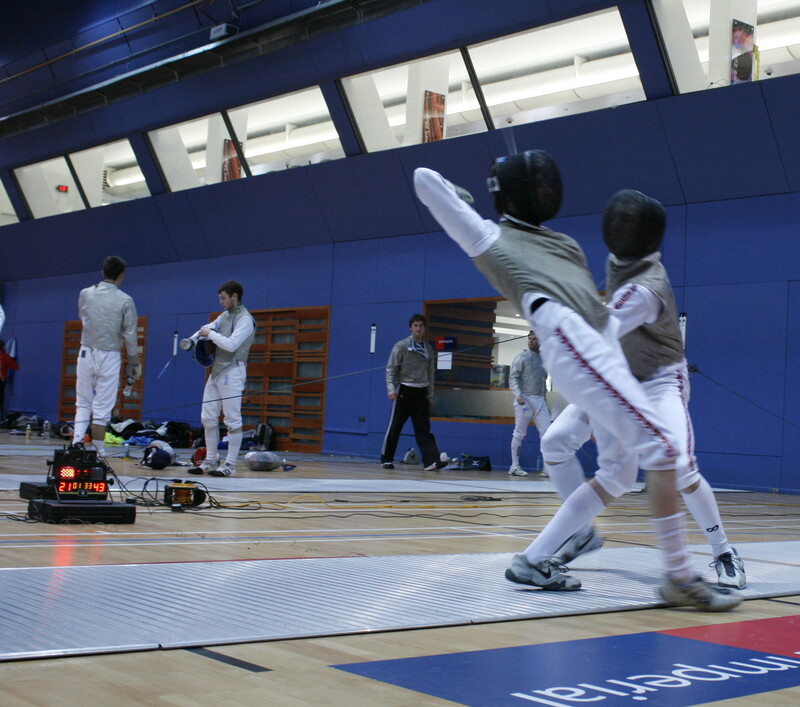 Then first up was our foil team of Andy Simpson, Niall Corry and Thoe Suter. Getting us off to a great start was old timers Thoe and Andy who dropped only three points for the first 10 to imperial, and then new to the team fresher Niall showed his worth (and flexible arm skills) in a 5-1 victory. The three musketeers continued their fine form and put imperial into an impressive 45-14 lead. 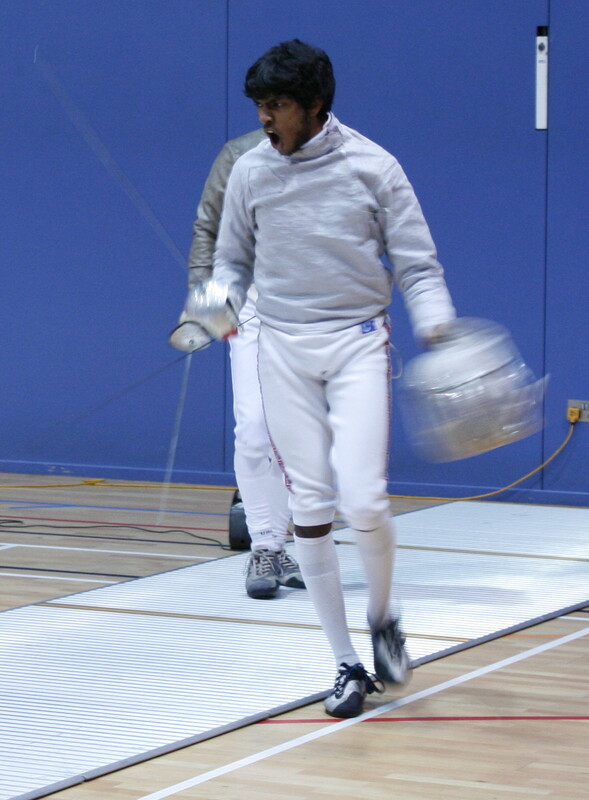 Then team captain Loek Janssen, new team member Pavitar Singh and conscripted foillist Thoe stepped onto the piste for sabre. Despite starting well the team fell to a 30-24 deficit with just 3 bouts (to 5) to play. 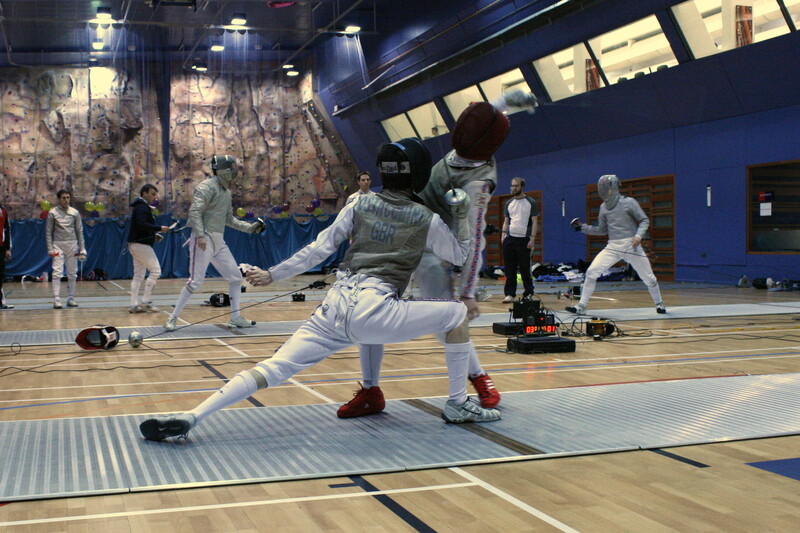 However a late push from Pav and Thoe brought imperial to within 3 points of their opponents, leaving it to the captain to win his spurs with a stunning (lucky) final hit against his Essex counterpart to win sabre 45-44. 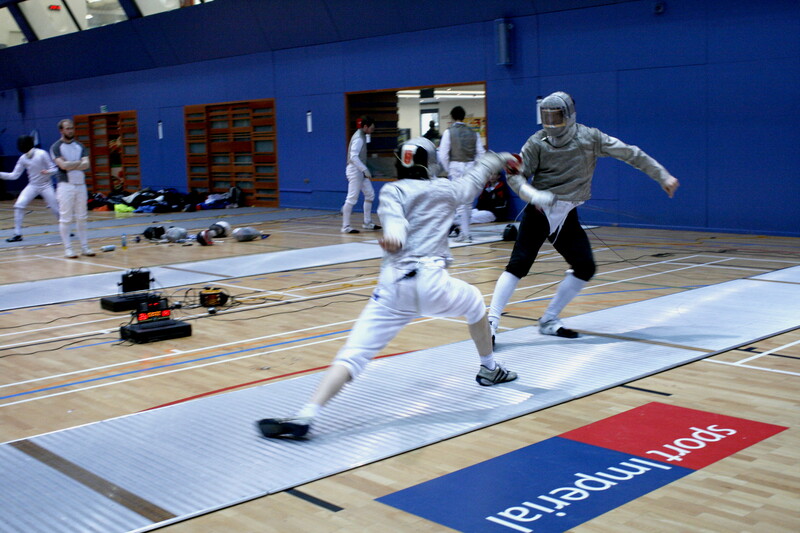 Finally with a strong lead and time running out the epee team went onto the piste to attempt to bring the match home. Due to the absence of a couple of epeeist, Pav and continuing star of the show Thoe would provide the support to Jamie Simpson in the final bouts. Generally the slowest of the 3 weapons the lack of time prompted some show stopping fighting and a 5-1 win to Jamie in just 27 seconds (surely some sort of record). Fittingly three-weapon Thoe provided the overall match winning hit while Pav and Jamie secured a victory with a great 45-34 win. Giving Imperial a fantastic win of 135-92 in all 3 weapons and so bringing a successful end to the 3rd teams Essex adventure. It’s a cold Saturday morning as IC Fencing Women’s 1st‘ makes their way over to Oxford. 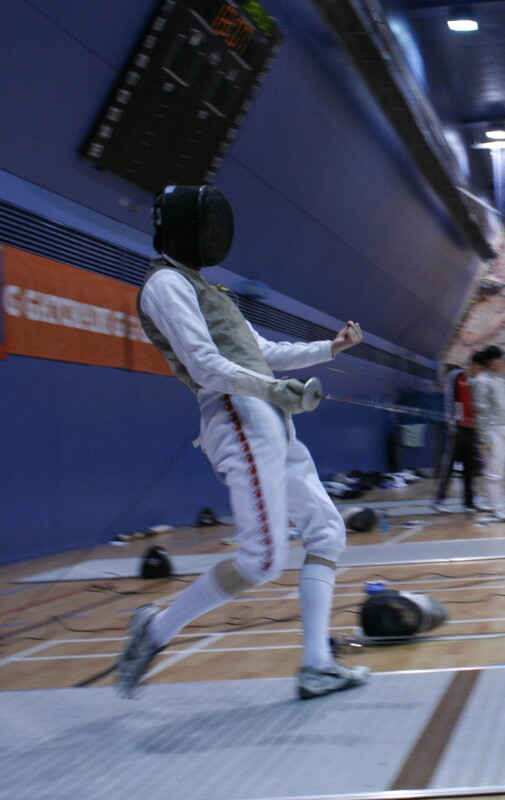 It’s the first weekend out of two, and they’re going to fence Cardiff University, University of Oxford, University of Cambridge and UCL, the other 4 strongest teams in the South of UK. 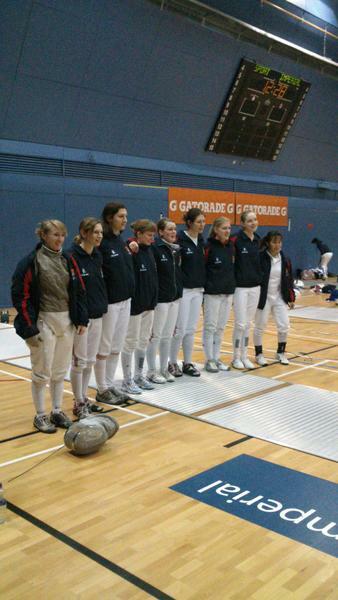 The epee team, first up onto the piste, consists of three new recruits: Paula Heister, Kat Young and Caitlin Jones, and an old member Charlotte Levin. The nerves are tense, for the past two years the women’s 1st team has remained unbeaten; will they do it again? 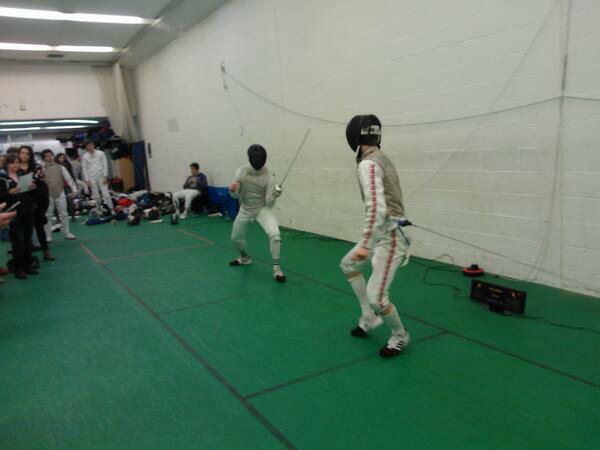 First opponents are Cardiff, newcomers in the league who prove very strong in epee. Despite best efforts from the Imperial girls, they faced a 39-45 defeat, already putting some pressure on foil and sabre. Determined to still do their best, they focus on the next match, Oxford. Kat and Paula showed their new alliance as they watched their old team lose by 44-31, giving the team’s confidence a boost. Unfortunately, it’s shaken again as they lose to Cambridge by a mere single hit, 43-44. By the last match against UCL, Kat had to leave early and Paula was not feeling well, so with a team slightly out of balance IC lose 35-45. Feeling slightly guilty, they pass the baton to the sabre team with team captain Zoe Robinson, the fresher Emma Horrix and Jing Xiao (Jingles) who fenced for the Women’s 2nd last year. They don’t have to worry for long. Zoe, Emma and Jingles set the bar high in the first match and prove exactly how strong they are by demolishing Cardiff 45-13. They continue to impress as they first beat Oxford 45-38, grow stronger against Cambridge with 45-24, and finally, gaining even more momentum, land at 45-19 against UCL. With the epeeists reassured that everything is under control, and the sabreurs with a strengthened confidence the day comes to an end, and the foilists can look forward to being a few hits ahead. Sunday morning presents foil. Zoe is joined on the piste by Alice Mitchell, 4th year running on the team, and Outi Supponen who have just returned from a year abroad. Thanks to sabre’s impressive performance the day before, they have a 26 hit lead to Cardiff as they start their first match. It’s extended as they win by 45-29, resulting in the season’s first overall victory, 126-87! 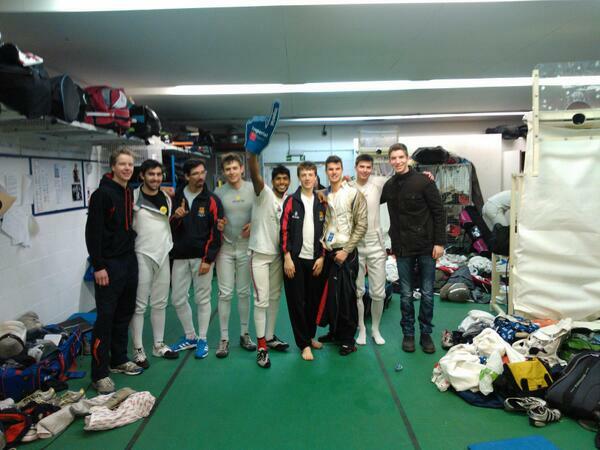 They confidently continue by beating Oxford 45-39, counting the second overall victory of 134-108. Cambridge, on the other hand, has gained some new foilists, and beat the Imperial girls by 34-45, but with the aggregated scores being 122-114 Imperial remain calm and confident. The weekend is coming to an end as the girls have the final match against UCL. Having done the maths in advance, Zoe, Alice and Outi know they need to score at least 29 hits to secure the overall victory. However, how can you say no to winning if the option is there? They end it at 45-34, giving a total of 125-98, and lengthening the Women’s 1st Teams unbelievable streak of wins to 27 matches in a row, spread over more than 2 years!